A great getaway for first and second time honeymooners. 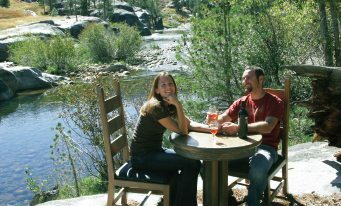 Scenically located and completely isolated, this unique, beautiful cabin setting is on the San Joaquin River where you can catch trout in the morning and go for a refreshing swim in the afternoon. 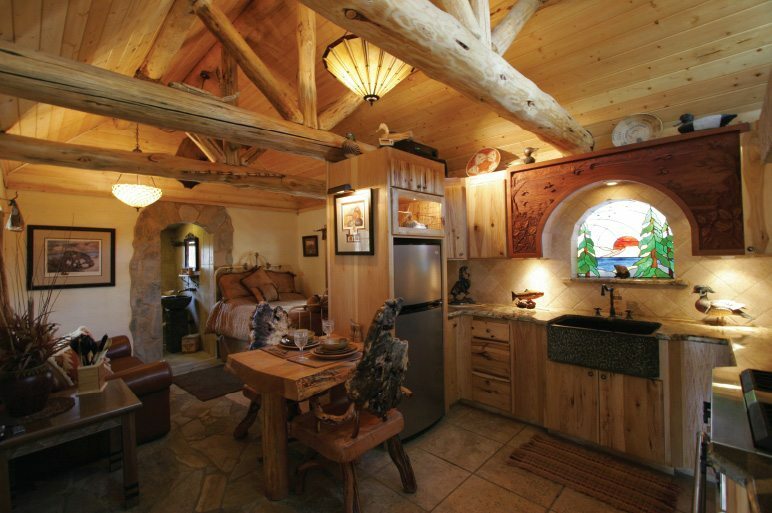 Superbly decorated with a theme of both Native American hunting and local mountain stone, everything inside and outside this cabin is first drawer: complete granite & hickory kitchen, stone tile bath & shower, heater, double bed, outdoor Bar BQ, swing, hammock, quality stereo music, cell phone, bad mitten and a campfire pit with aromatic wood. Everything is furnished. Only two people allowed at the cabin at any time, no pets and no smoking. Call 559 325-1710 to reserve your romantic getaway.